You are here: Home / Windows / I’m getting ‘Windows Error 0xc000007b’ what do I do? If you’re seeing an error that says ‘The application was unable to start correctly (0xc000007b)’ it means something has gone wrong with the program or with Windows files that the program needs to access. While it sounds serious, it is actually quite straightforward to address. With some basic Windows troubleshooting techniques, we can fix the error and get your program working properly again. When fixing file errors in Windows 10, we take a systematic approach. It is often a process of elimination beginning with the simplest fix and moving onto the more involved ones. Perform each step, retest the program that was giving the error and stop once it works properly again. Otherwise continue onto the next step. Run the program as an administrator. Right click the program executable (ends in .exe or labeled as Application in Windows Explorer) and select ‘Run as administrator’. Run the program in compatibility mode. Right click the program executable and select ‘Troubleshoot compatibility’. Choose the previous version of Windows and retest. Ensure you have the latest Windows updates, graphics and sound drivers. Update as necessary and reboot your computer. Reinstall Microsoft C Runtime packages. You can download these files directly from Microsoft. Install them, reboot and try again. Re-install the program giving the error. If it’s a game giving the 0xc000007b error, you may be missing essential DLL files and .NET framework files. Re-install or download the files as necessary. Open a CMD window as an administrator and type or paste ‘chkdsk c: /f /r’. This will check your file system for issues. It won’t pick up everything but is a good troubleshooting tool. Reinstall DirectX. DirectX is packaged with graphics drivers Microsoft also makes it available as a separate download. Uninstall your graphics drivers and reinstall them. 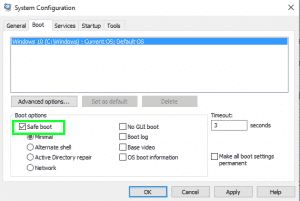 Make sure to use the uninstall facility within the driver software, reboot, then perform the reinstall. ‘The application was unable to start correctly (0xc000007b)’ errors can be caused by a variety of missing files, which is why we have to perform this process of elimination. In the vast majority of cases, one of these steps will fix the issue. If you know of any other ways to fix it, let us know below!